More power and space for maximum flexibility. Zetalase™ XL can do it all! Available with a 20, 50, 70, or 100-watt laser source. 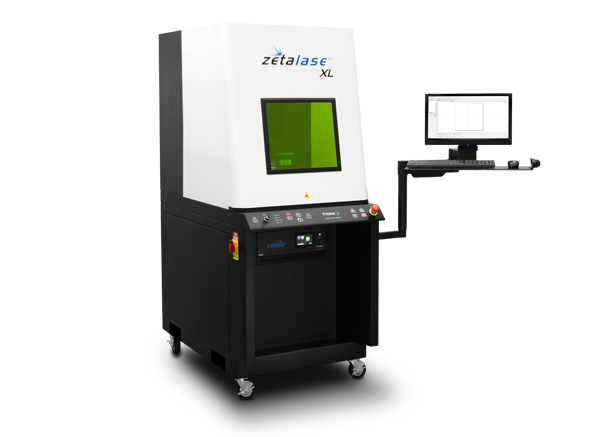 Zetalase™ XL features an onboard PC and a gas assisted swing arm with monitor, keyboard and mouse allowing operators to easily design, edit and select laser etching marking programs.